The best way to schedule an appointment or for questions, just call (407) 417-1679 10:30 AM – 10:00 PM. Suggested Offerings are $35 for 15 minutes, $60 for 30 minutes, and $100 per hour. Any payments or offerings are given at the end of your psychic session. If you are not satisfied with your session no offering is required, however it seems I always receive an offering. Many people are very satisfied. You may ask yourself, how can a phone session possibly work? The answers is there is no time or space in God’s light or in the psychic realms. Therefore while we are connected on the phone, there is no distance between us. We all come from the same Source. Call it the Big Bang, the Creator, or God, this is where we all come from. We are all connected, therefore all knowledge is not bound by time or space. I am dedicated to providing meaningful connections with friends and relatives who have died and crossed into the light. Some do not choose the light and linger on the earth plane. In either case communication is possible. These loved ones desire to communicate with you as much as you desire to communicate with them. In addition, we all have spiritual guides or higher souls that reside in the angelic realms. Communicating with these souls help us with our life’s direction and ambitions. They truly watch over us and are willing to help. I use a method of tapping into your energy field or aura without judgment. I use this God given talent to help you cope with life’s gifts and challenges, so you may attain your goals and desires in this lifetime. I can assist in helping you see your life’s direction and assist you to change its course if necessary. I can see into the future, however this is a possible future. The reason for having a psychic session is to become aware of what may lie ahead so you can change the outcome based on your present and future thoughts and actions. I won’t tell you what to do in your life, but I will give you advice and guidance on how you can proceed in order to change your future, and live the life you love. God gave us free will, we can dictate our future through our thoughts and actions more than most people realize. You are powerful co-creating with God. Let me show you how. 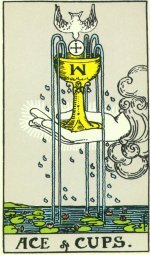 I use tarot cards as a tool to connect with your life’s journey. To see the choices you have made in the past and the ones you are going to make along the way. This will allow me to see what has happened and what may happen in your life. Once your life is clear to me we can discuss your current situation pertaining to life, love, relationships, career, money and other passions, so that I may assist you with what is on the horizon, how to deal with it, and the joys that I see in your future. Sometimes a session will affirm what you already know, however you may need to hear it during this session to know you’re moving in the right direction and are making the right decisions. I provide direction with your life’s ambitions and assist in the awareness of your spiritual connection to God, Source, and the universal you. You may ask yourself, what is my purpose here? I can provide a path to answers like, why am I here? What is life all about? What am I to do?. This I term as the universal you. Your essence, spirit, or life force that can guide you if you learn how to listen to it. It’s something that flows within all of us. Learn how to become more connected and in touch with this essence. Learn how to flow with the universe not against it. Let’s find out what works for you, and apply it to your life. Live the life you love! The healing of the soul, mind, or body can be accomplished in many different ways and principles. One way is using the teachings as stated in the Bible. “The Spiritual Gifts and Their Use in Love” – 1 Corinthians Chapter 12 – Chapter 14. The gifts of: miracles, healing, faith, prophecy, knowledge, wisdom, discernment, and tongues. I have personally seen these gifts in action and been personally healed through God’s light. This was administered by the Reverend Willard Fuller. If this healing did not take place I would still be seeing doctors. Note, not everyone gets healed and the level of healing is up to you and your relationship with God or the universal energy. I can’t explain it, I can only facilitate in the process. A healing may also be obtained via the Medicine Buddha healing practice in which I am ordained in, or sheer energy healing that channels through me from a divine place. Healing’s are always by donation, and no one will ever be turned away for lack of funds. You may visit me personally for a healing, by phone, or via email at peter@cassadaga.biz.